A Video EEG test records your brainwaves on an EEG and a video of what is going on at the same time. The purpose is to be able to see what is happening when you have a seizure or event and compare the picture to what the EEG records at the same time. Sounds that occur during the testing are also recorded - this can pick up if a person talks or makes sounds during an event. By doing this, doctors reading the EEG can tell if the seizure or event was related to the electrical activity in the brain. If so, we'd call this an epilepsy seizure. 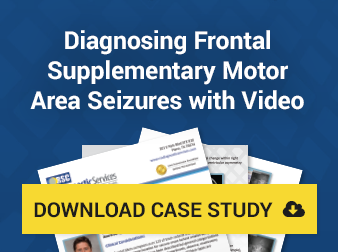 Video-EEG is most helpful to determine if seizures with unusual features are actually epilepsy, to identify the type of seizures, and to pinpoint the region of the brain where seizures begin. Locating the region precisely is essential if epilepsy surgery is being considered. Other names for Video EEG tests include: EEG telemetry, EEG monitoring, or Video EEG monitoring. Usually these terms mean the same thing. As a premier EEG solutions provider, RSC Diagnostic Services delivers custom EEG programs built to the specific needs of physician practices, multi-specialty clinics and hospitals. RSC specializes in In-home Ambulatory Video EEG. RSC’s technology empowers physicians by increasing the diagnostic yield to evaluate, diagnose and treat a variety of neurological symptoms. We are committed to improve patient outcomes and enhance caregiving. Our Technical Readers (TR) and ABRET Registered Certified Long Term Monitoring Technologists (CLTM) analyze, annotate, and provide a typed summary reports for all completed EEGs. Our Scanning Technologists review all of the recorded data, patient diaries, and clinical notes to create a high quality report promoting accurate interpretations.